This indoor/outdoor fountain features three levels of pouring water! 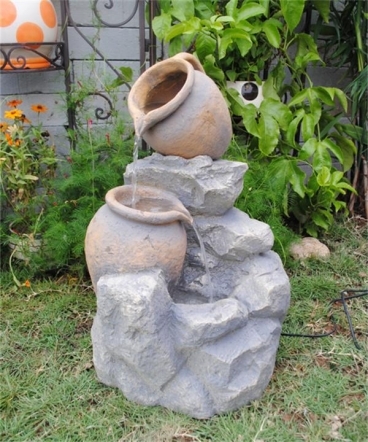 Water pours from one jar top to the next and ultimately pools into the bottom of the elegant Fountain. 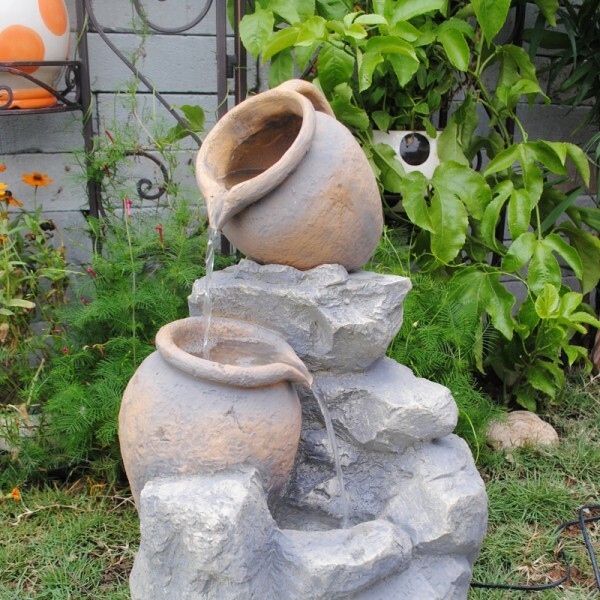 A simple yet beautiful fountain, this distressed look will make the perfect addition to your home or garden! Dimension: approx. 13 1/4" x 12" x 21 1/2"